Prime Minister Theresa May warned on Monday that Britain’s planned exit from the EU could be derailed, a last-ditch effort to win over Brexit-supporting lawmakers who have repeatedly said they will vote down her divorce deal. 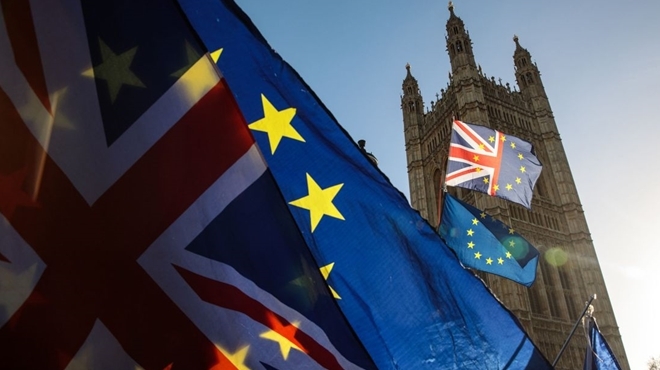 The fate of the United Kingdom’s March 29 exit from the EU is deeply uncertain as parliament is likely to reject May’s deal on Tuesday evening, opening up outcomes ranging from a disorderly divorce to reversing Brexit altogether. Amid the deepest crisis in British politics for at least half a century, May and EU leaders exchanged letters giving assurances on her withdrawal agreement, though there was little sign of a change of heart among rebel lawmakers. May used a speech at a china factory in the leave-supporting city of Stoke-on-Trent in central England to say that lawmakers blocking Brexit altogether was now a more likely outcome than Britain leaving without a deal. “There are some in Westminster who would wish to delay or even stop Brexit and who will use every device available to them to do so,” May said. As the world’s biggest trading bloc tried to brace for an unpredictable ride, Spain said the EU could agree to extend the deadline for Brexit, but not beyond elections for the European Parliament due in May. May warned lawmakers on Sunday that failing to deliver Brexit would be “catastrophic” for democracy, and her ministers said that thwarting the outcome of the 2016 referendum could lead to rise in far-right populism.